"This tastes like home brew." This funky monkey came through with such sweetness that it was compared to many a home brewer's under-attenuated beverage. In this case the brewer was going for that flavor with their craft beer version of a 40 and OJ. It didn't really hit the spot with me on this go around and was a bit too sweet and boozy (8%) than I was in the mood for at the time. But I put my left leg back, right leg up and you know how it went from there. The advertising on this one grabbed me hook, link and 1986 throw back. While I usually check out a beer pretty well before buying it, this one when right in the cart. 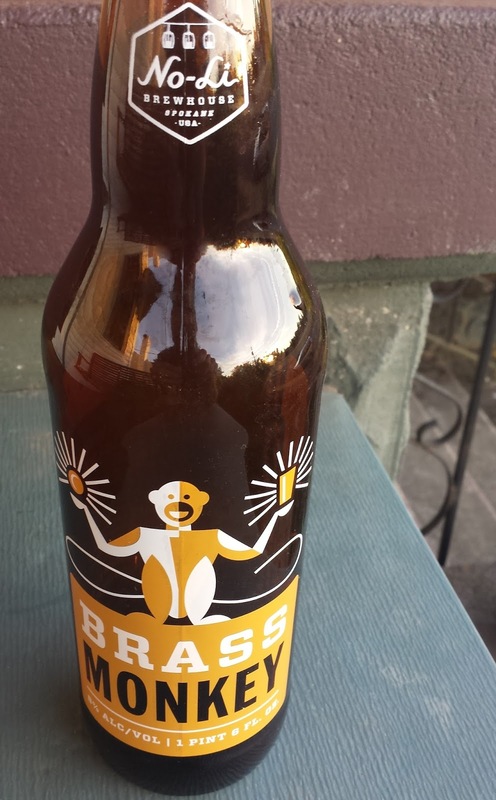 It's a brass monkey! How could you not?